PSJA ISD students take part in the annual Short-Shot Golf Course program. ALAMO — Andrew Cabrera, PSJA North graduate of 2016, has devoted the past two summer breaks to coaching elementary students at PSJA’s Short-Shot Golf Course in Alamo, located on the corner of Cesar Chavez and Business 83. Cabrera served as team captain at PSJA North during his four years of high school and now plays golf for the Louisiana College Wildcats. He appreciates this summer opportunity available to PSJA students. When coach Roberto Vela started the Short-Shot Golf Course program five years ago, he did not expect the impact it has made on PSJA students and families. 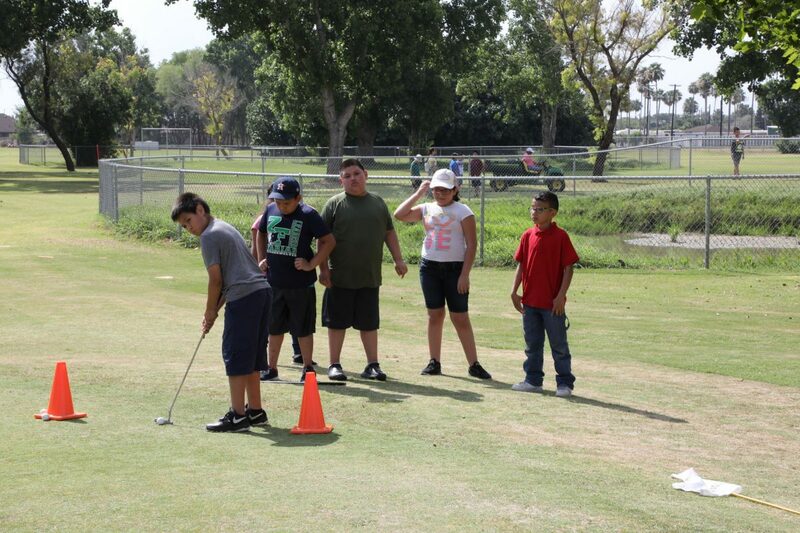 The PSJA golf course brings in students throughout the year from all district elementary schools to teach them the fundamentals of the support and prepare them for competitive play at the secondary level. Carlos Salinas, a fellow coach at Short-Shot and PSJA Bears graduate is appreciative of having these type of summer programs available for our youth.